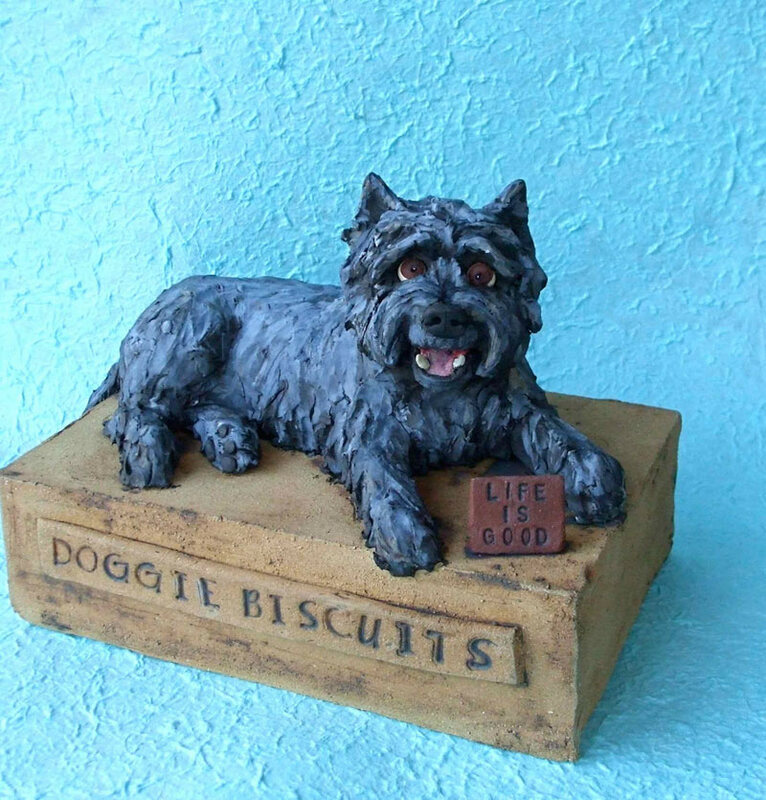 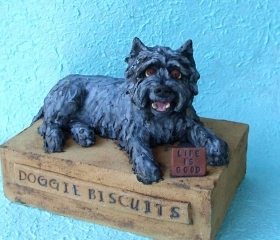 Let me create a custom pet sculpture as a special tribute to your beloved companion. 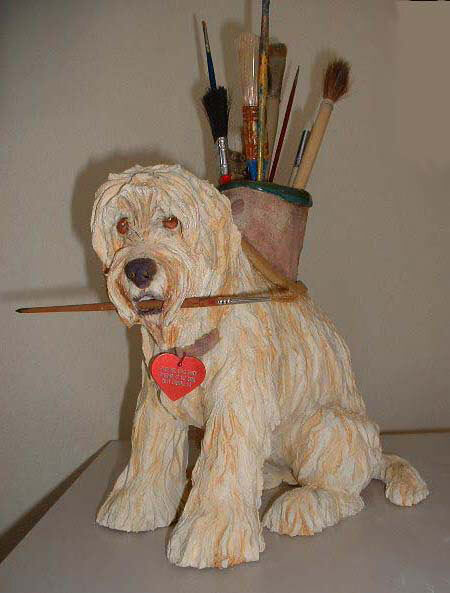 Together we can design a timeless sculpture of your living pets or create memorial sculptures and custom urns to honor pets who have passed. 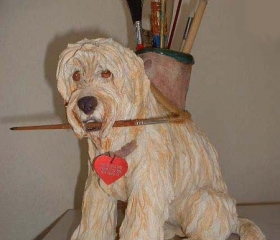 Custom sculptures usually take one or two months to complete. 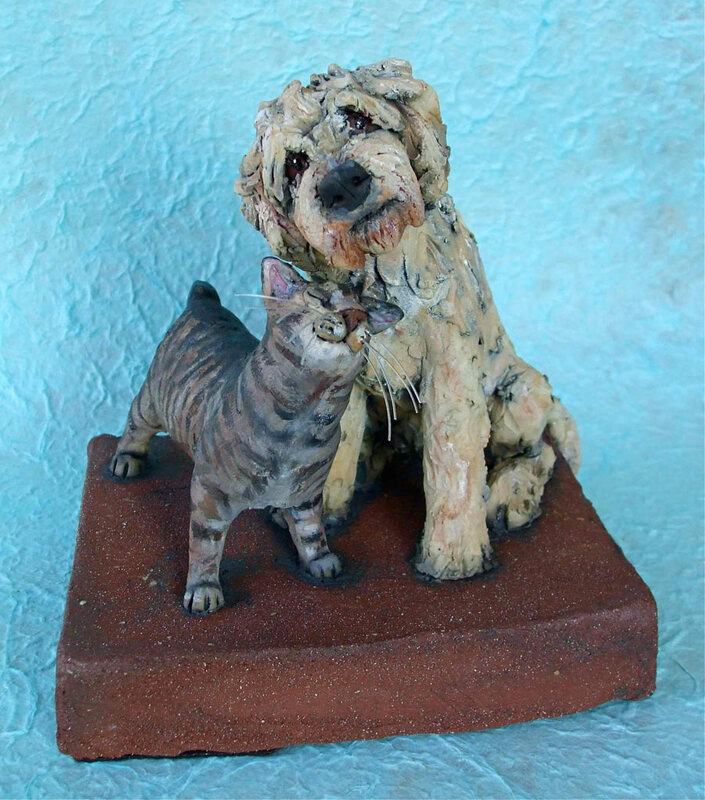 I create pet sculptures in a variety of sizes and styles to accommodate many budgets. 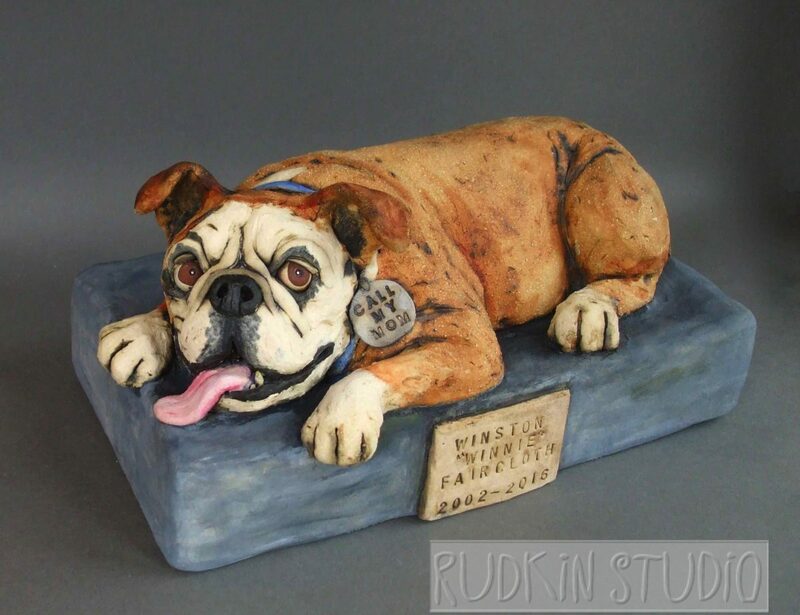 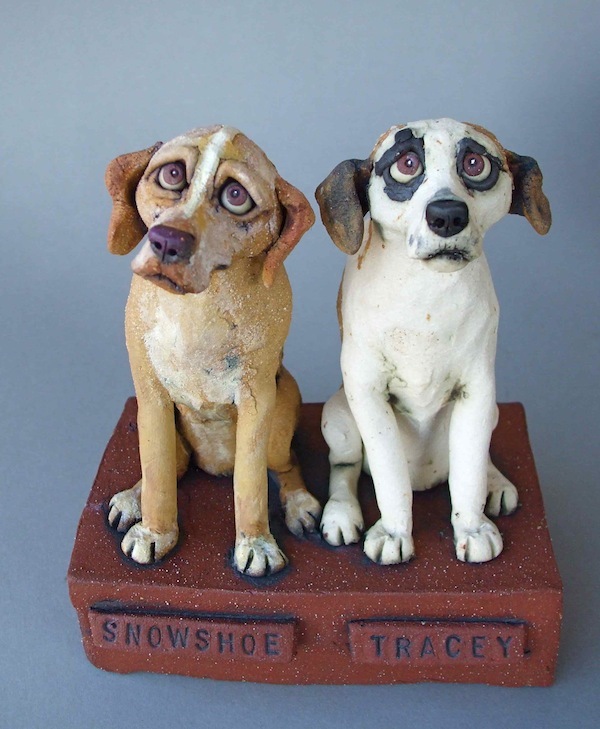 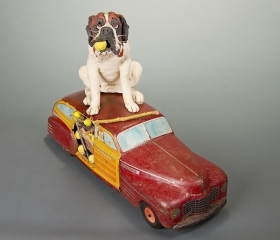 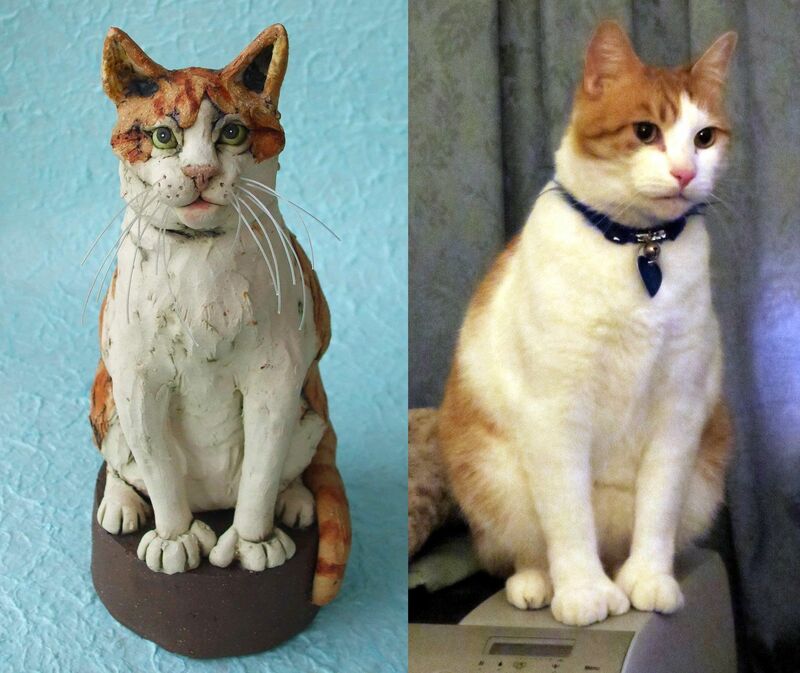 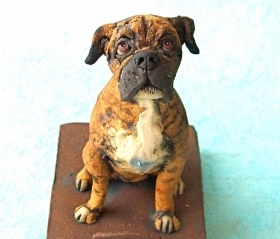 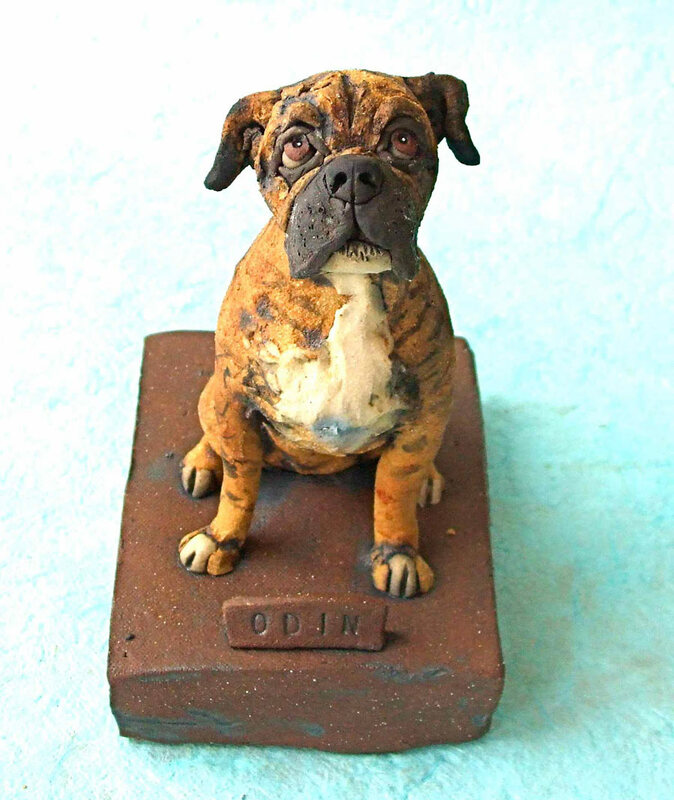 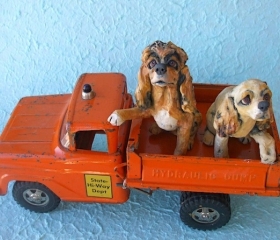 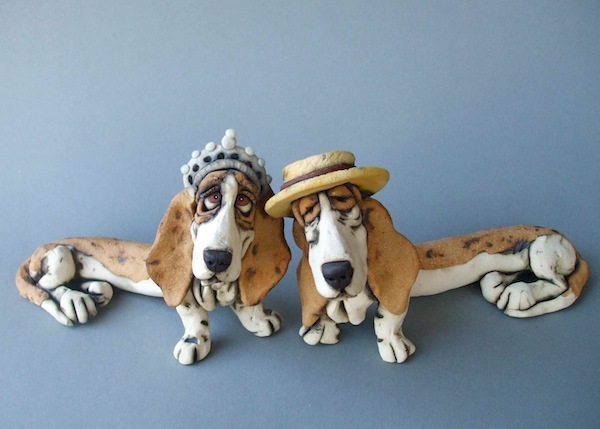 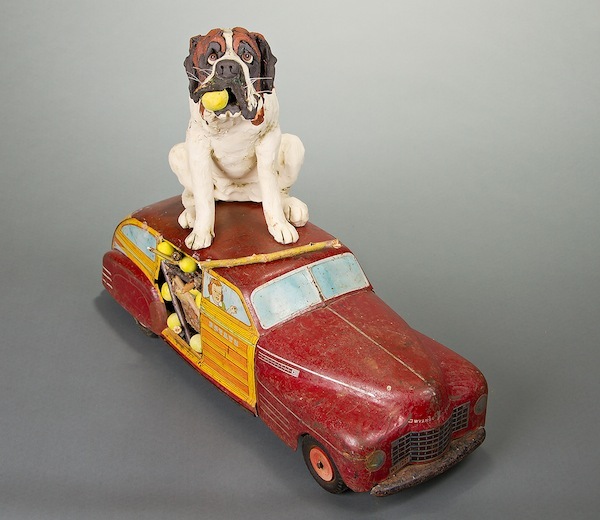 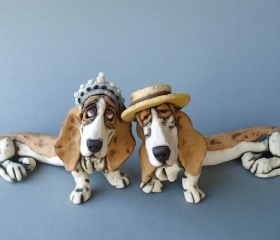 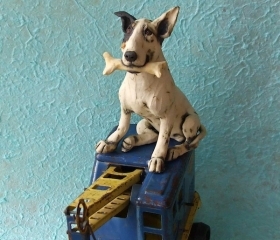 A sculpture of at least 7 inches usually allows enough detail to capture the pet, and costs start at $250 (about $400 for a 9-inch version, $650 for a 12-inch version, and $1000 for a 15-inch sculpture). 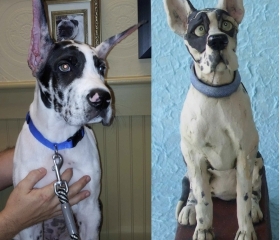 Larger sculptures and smaller “sketch” sculptures are also possible. 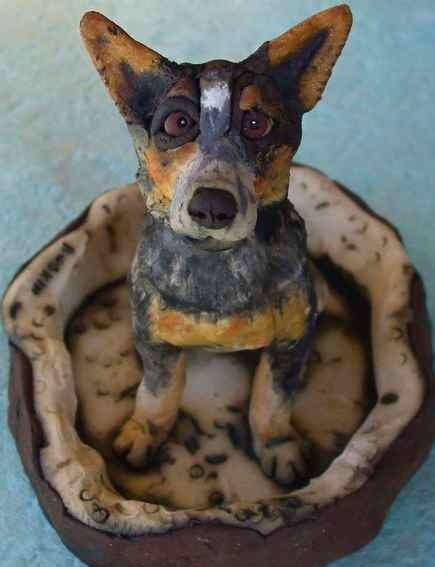 I ask for a 50% deposit to start, with the remainder (plus shipping, if needed) due when the piece is ready to go. 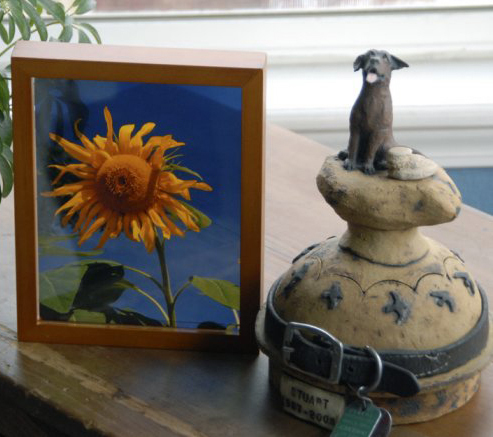 Colorado residents also pay sales tax. 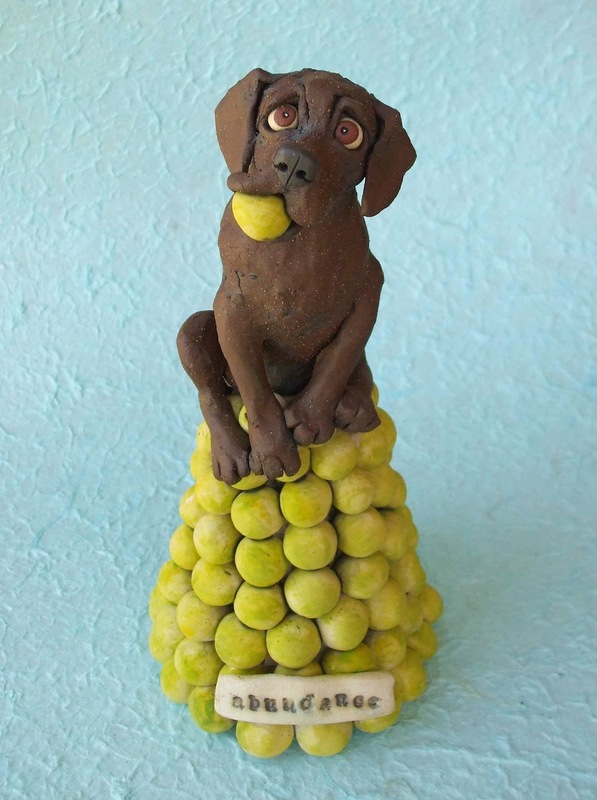 I use your favorite photographs to build a sculpture of your pet in my own Rudkin-esque style. Photos of the pose you like from different angles are ideal, along with a close headshot of your pet. 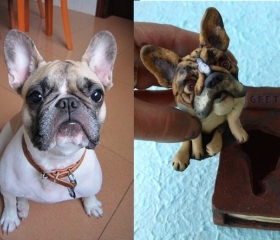 I can incorporate favorite toys, poses, sleeping places, or activities to further personalize your custom pet sculpture. 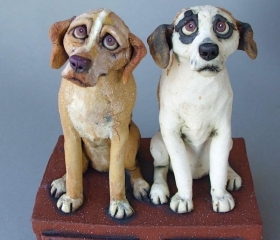 One of the fun aspects of sculpting two (or more) animals together is that you get not only each animal, but also a depiction of the relationship between them. 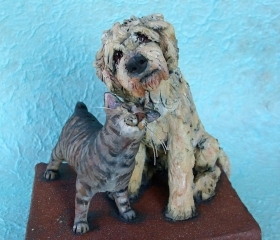 If your pets have a special bond, we can build that into the sculpture. 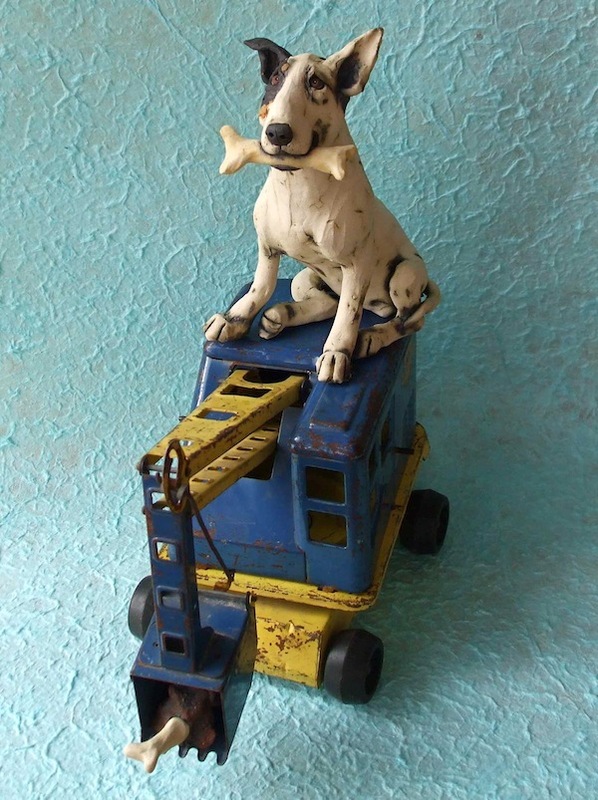 I love incorporating antique toys or other meaningful objects into my sculptures. 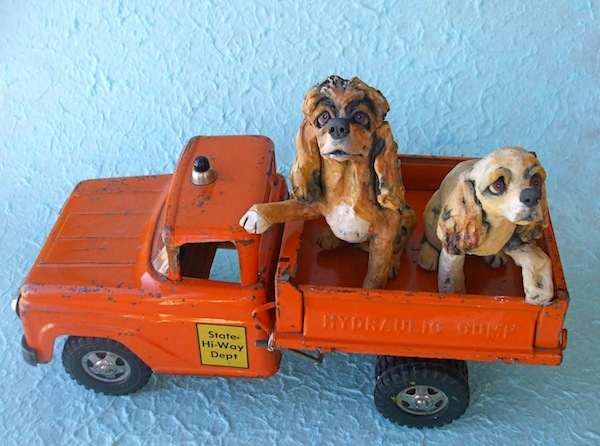 You can choose from an antique I already have, I can hunt for the perfect antique to use, or perhaps you already have a meaningful heirloom around which a custom pet sculpture could be built. 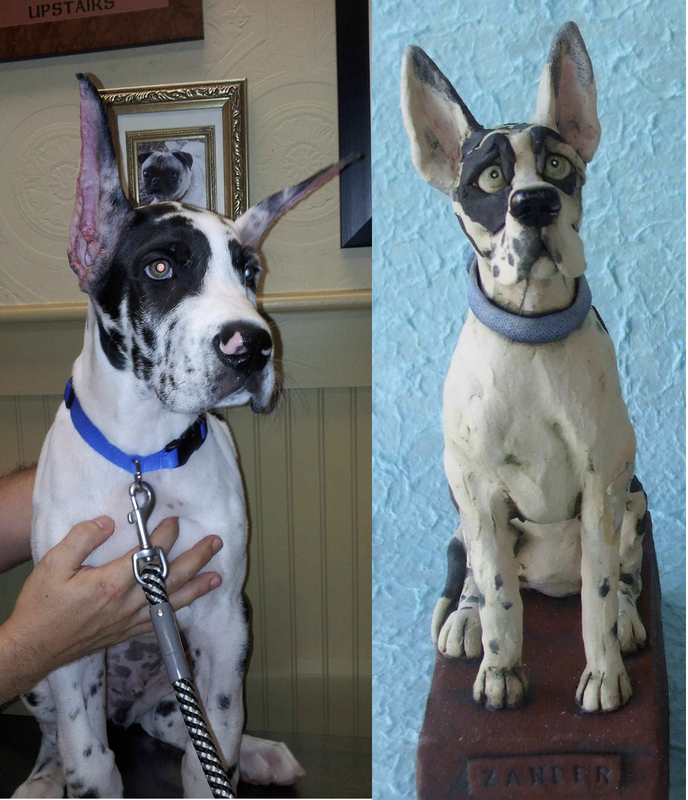 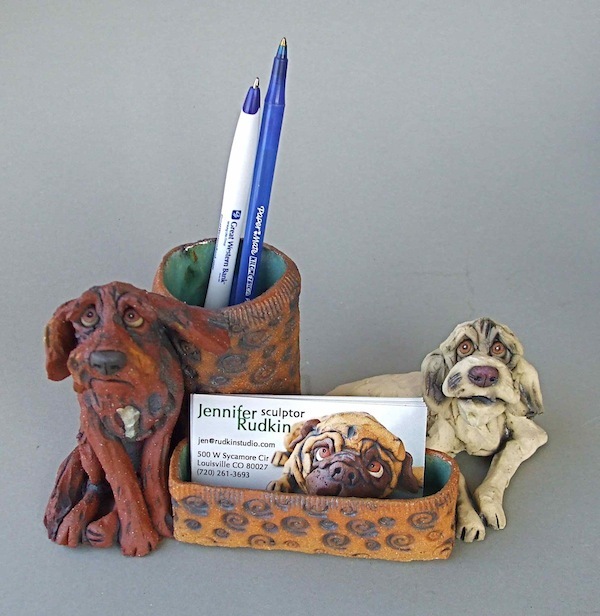 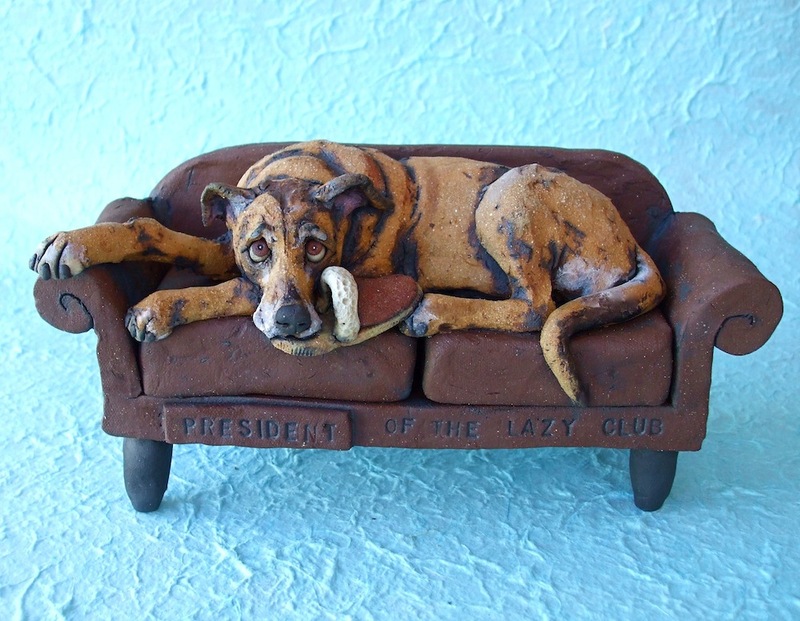 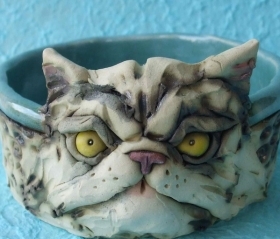 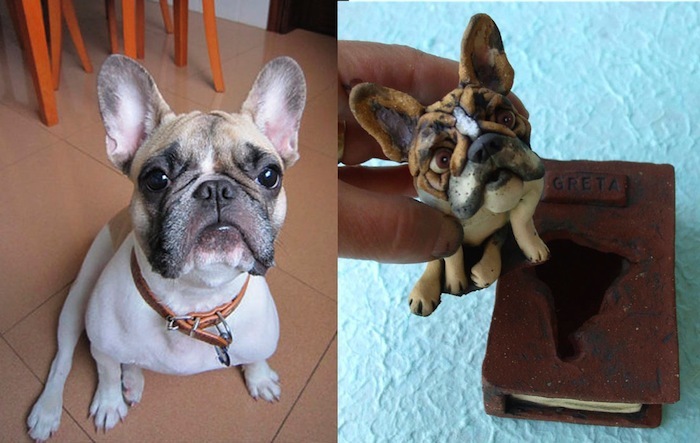 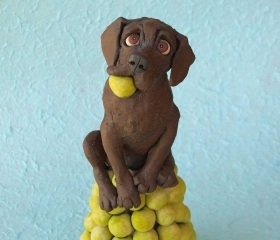 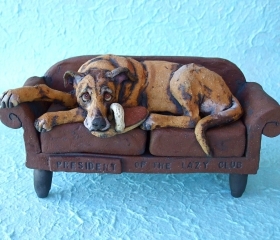 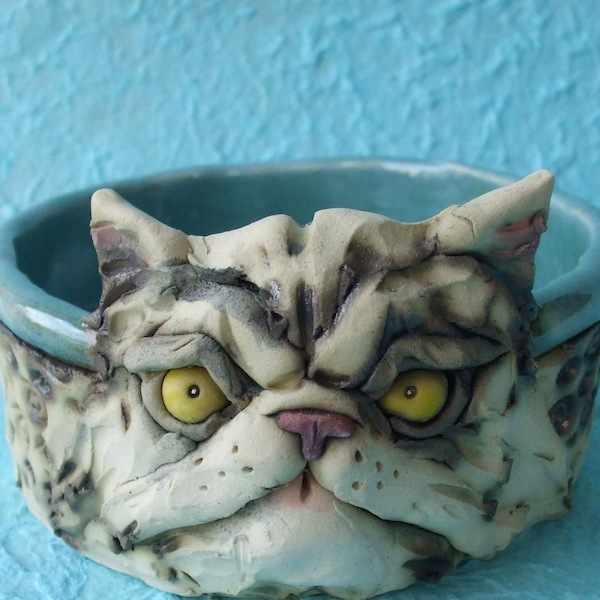 Custom pet sculptures need not be only decorate. 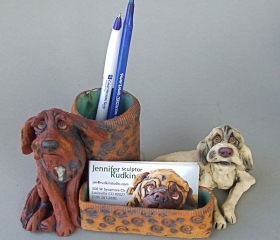 We can incorporate a variety of functions into you custom sculpture– vase, food bowl, desk set. 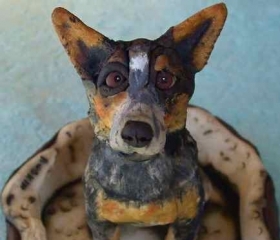 If you can imagine it, I’ll try to build it.